What is the Local Environmental Plan? The Local Environmental Plan is the principal legal document for controlling development at the council level. The zoning provisions establish permissibility of uses and standards regulate the extent of development. They are prepared by councils and approved by the Minister for Planning and Environment after public exhibition. Changes to the provisions or maps in a Local Environmental Plan can be made in some instances following the preparation of a planning proposal. For information about the planning proposal process and associated costs please refer to the Guidelines for Local Environmental Plan Amendments (Planning Proposals). NSW Department of Planning and Environment’s planning reforms required all councils in NSW to develop a standardised local environmental plan (LEP). Bega Valley Shire Council’s new LEP was gazetted on 2 August 2013 (known as Bega Valley Local Environmental Plan 2013 or BVLEP 2013) and this largely replaces the Bega Valley Local Environmental Plan 2002. Bega Valley Local Environmental Plan 2013 rezones the majority of the land in the Shire and sets out new permitted and prohibited uses in the zones. It carries over some provisions from Bega Valley Local Environmental Plan 2002 and also establishes a number of new planning requirements and considerations. A number of properties are deferred from Bega Valley Local Environmental Plan 2013 and so Bega Valley Local Environmental Plan 2002 will continue to apply to these properties until planning proposals are approved by the Department of Planning and Environment. 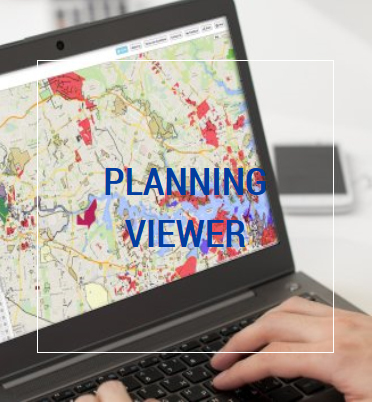 To assist with the identification of the relevant zoning and other information that is applicable to a parcel of land, the Department of Planning and Environment have developed Planning Viewer under EPlanning. The Planning Viewer is a free online tool that shows the planning rules that apply for properties across NSW. How it works - Users can do a basic text-based search by either typing an address or place, or an interactive search directly on the map. You can also use land titles information to do an advanced search. Once a property is found, the user can view a summary of the relevant planning rules or select different map layers. The “Proximity” feature lets users search for map layers that apply to properties near the specified address. Users can also explore multiple map layers simultaneously. The Planning Viewer provides links to Environmental Planning Instruments – including Local Environmental Plans or State planning policies - on the Legislation website. Bega Valley Local Environmental Plan 2013 includes maps about zoning, lot size, height of buildings, floor space ratio, land acquisitions, heritage items & conservation areas, additional permitted uses & local clauses, biodiversity, water & wetlands, natural resources and acid sulfate soils.